It seems to me that for a long time, many of us who have been following Jesus have had an inaccurate understanding of Jesus’ use of the term “Kingdom of Heaven”. Some, despite being in the Church for years, do not even understand what the phrase means. Whether the cause or the effect, there are some popular yet unbiblical teachings, and common ways of thinking, that have their foundation in this incorrect understanding. It is not the purpose of this very brief article to highlight those teachings and ways of thinking, but rather to point out Jesus’ own perspective, and hence the truly biblical perspective of the Kingdom of Heaven. Let me begin by first explaining the biblical phrase “Kingdom of Heaven”. Depending on the Bible version, this phrase is found 32 times in the Gospel of Matthew (33 times in the NKJV). The similar term, “Kingdom of God” is found over 53 times throughout all the Gospels. In every case, the phrase speaks of God’s rule/reign and authority. 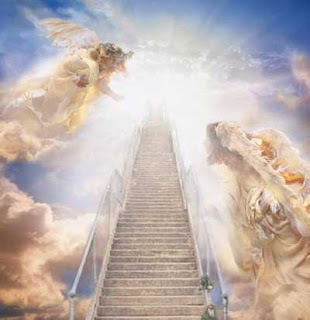 The word Heaven, in the phrase “Kingdom of Heaven” speaks of the place from which God’s rule and authority originate, namely Heaven, where God’s throne is located. This understanding is very important because many of us have been wrongly trained to think that we’re just waiting and working here in order to get to the Kingdom in Heaven, some day in the future, because that is where Jesus went to sit at the Father’s right hand. That is precisely the opposite of what the Bible teaches. If our final destination is Heaven where Jesus is currently seated at the right hand of the Father, then what is the point of Jesus not asking for us to be taken out of the world, but praying to keep us safe from the evil one while we are here? It’s not the Children of the Kingdom that are going to be evicted from the Kingdom. While so much more could be said about this (and perhaps will be in future articles), I hope this brief piece has whet your appetite and challenges you to study the Scriptures keeping Jesus’ perspective of His Kingdom in mind. That is what I am doing. I also invite and encourage you to search the Scriptures yourself to see if these things are so. May the Lord richly bless you in all things.